What a great way to start the new year…bulging tummies! During your pregnancy you may develop stretching and separation of the middle part of your tummy muscles. 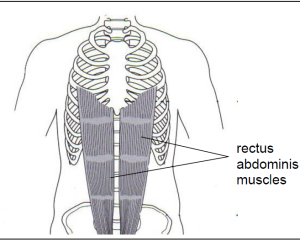 This ‘linea alba’ holds together the outermost rectus abdominius muscles (six pack), internal and external obliques, and the fascia of the transverse abdominus. You can do exercises during your pregnancy and ‘lifestyle ‘changes to minimise this. It doesn’t happen to everybody. You may need a support belt. Don’t do Pilates mat classes or DVD’s at home. You may do a specialized studio Pilates programme where you are working 1:1 or in a very small group . Get your belly assessed by a Women’s Health Physio first and she will help you with a safe exercise programme. Don’t brace and bear down or strain…this will increase the pressure inside your tummy and in the effort to hold your tummy in strongly you will be putting too much pressure on your pelvic floor. Most of the Pilates mat class exercises that you can do at your local gym or at a ‘boot camp’ will not only not help your mummy tummy, they may make it worse, or even create a diastasis where there was none before. When your diastasis starts to heal, you can do certain exercises which are designed to help your DRA, but not crunches or sit- ups..Make sure your Women’s Health Physio talks to your Personal trainer or Pilates teacher… This is how we spread the word…. Do belly breathing. When you breathe, feel your lower belly expand, and when you exhale, let your lower tummy come all the way back. 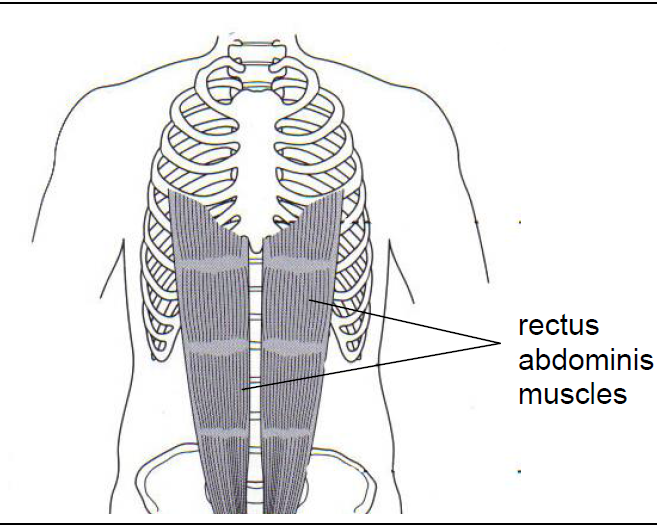 Do not forcefully push your upper abdomen out while doing belly breathing. Do Practice perfect posture as much as possible. Squat or bend at the knees to lift things or babies. Carry your baby as close as possible and try to maintain good posture when you do!!! When breastfeeding, don’t slouch to get breast to baby. Prop baby higher with pillows, or lie down next to baby to feed. Deep tummy (Transverse abdominal muscle) is the start, together with pelvic floor lift. A range of side lying ,kneeling on hands and knees ,sitting and standing exercises can be taught with this deep bracing support. Place your hands on your tummy, one above the belly button, one below. Take a belly breath and expand tummy to floor one. (Floor 1 is all the way out, floor 5 feels like your tummy is touching your spine), Hold for 30 counts but count out loud so you know you’re still breathing. Then pull your tummy back even further for a little squeeze, and count as you do 5 of these squeezes, and release make sure you relax. Feel your side waist drawing in too. Do 5 sets of these every day and don’t forget your pelvic floor lift first…and breathing…. Check yourself and then check with your Women’s Health Physio to get the right exercise level,reps and sets..get to it!